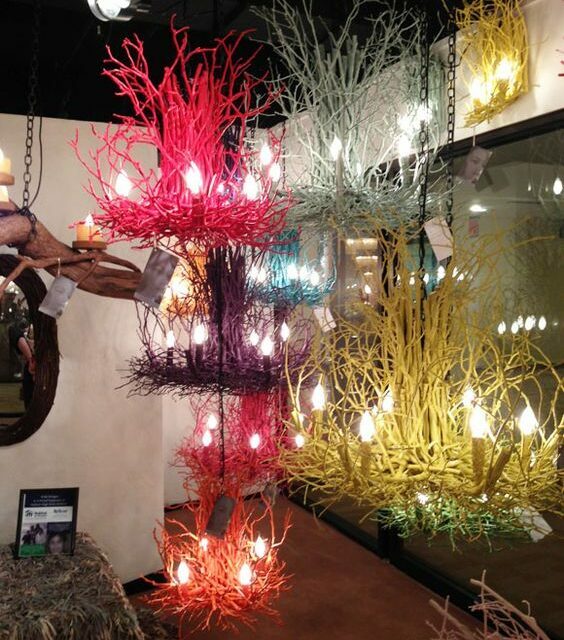 Wish Designs USA is a 38 year old, second generation, made in USA, niche company that designs and manufactures handcrafted twig chandeliers and rustic hickory branch lighting. Our area rug division is also a made in the USA, niche company, which produces textured Ultra Suede area rugs and pillows. Showroom and outlet center are open weekdays by appointment only with services designed to accommodate wholesale and retail clients. Product selection includes on hand stock chandeliers and sconces, one of a kind fixtures, ready-made area rugs and pillows, our signature Hand Dipped light bulbs and other gift items. Merchandise is available to take with you or we are glad to ship to your location. Packaging and shipping cost will apply. Custom orders on chandeliers, scones and rugs are extended to our wholesale guests. Please provide tax id information when scheduling your appointment. Rental program available for non-electric chandeliers and sconces for weddings and special occasions are available through our outlet or local authorized dealers. Call Today! Not able to make the trip? No problem! Virtual tours are available upon request.